A lot of mobile games use the freemium approach, and in many cases, you are given a mediocre game and have to pay to get the real goods. 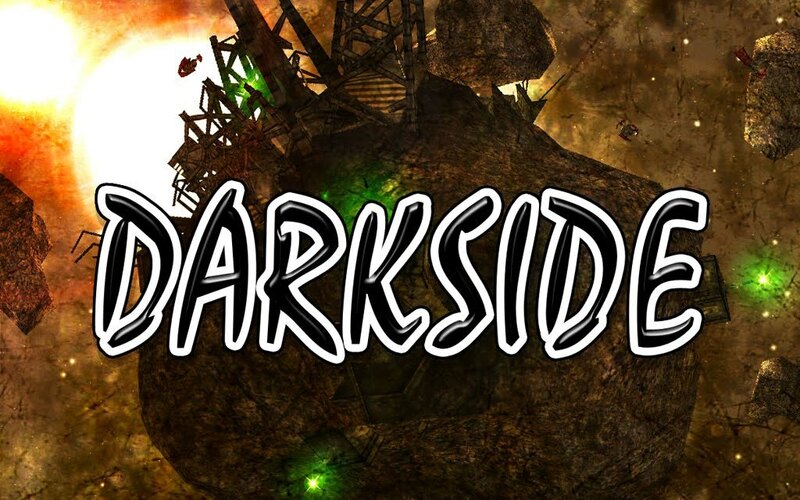 Clockwork Pixels uses that model for Darkside Lite, where you get the arcade mode free. But even with just one mode that is entirely free, you may find that it is more than enough to satisfy your thirst arcade shooters. This is a cool game. The arcade mode plays the way you expect it too, namely, shoot everything in sight and try to stay alive for as long as possible. There are planetoids and asteroids to blow up in each level, all the while you try and avoid getting hit. In true arcade style, you get three lives to inflict as much damage as possible. Controls are simple and effective, with the right stick for firing and the left for navigation. With such intuitive controls, it is easy to move around and shoot those rocks and enemy spacecraft without being hampered by the mechanism. Your objective is two-fold, destroy the rocks and the enemy craft, and the action is fast and furious. Along with blasting the enemy, you can also avail of power-ups to give you a boost. From shields to extra ammo and firepower, you will not be lacking in this department. If you want to buy the full game to access the mission and survival modes you can do so. But the arcade mode is complete and holds its own as a game.